NWA Democrat-Gazette/J.T. 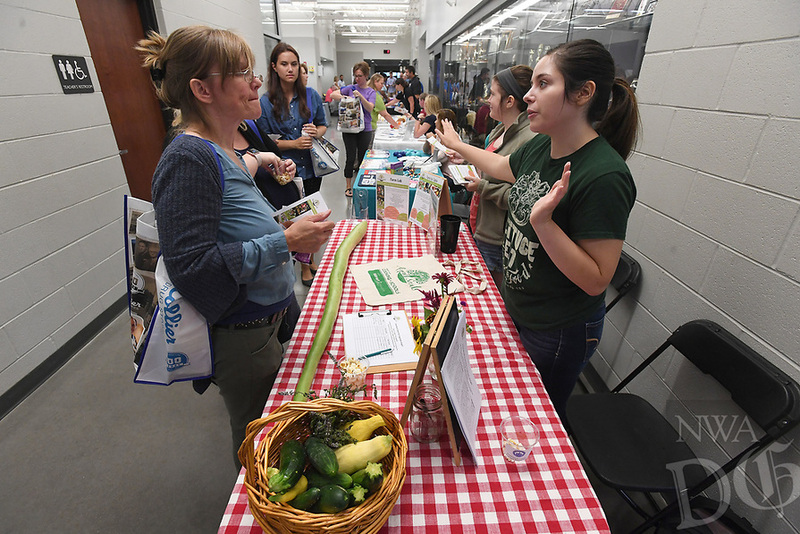 WAMPLER Janelle Southan,((CQ)) special education teacher at Elkins High School (LEFT) talks with Jillian Browder of Apple Seeds Teaching Farm Monday August 6, 2018 at the 6th Annual Washington County Education Expo at Elkins High School. Local businesses and organizations were on hand to visit with educators and staff from the Washington County School Districts Elkins, Lincoln, Prairie Grove, Greenland, Farmington, and West Fork.